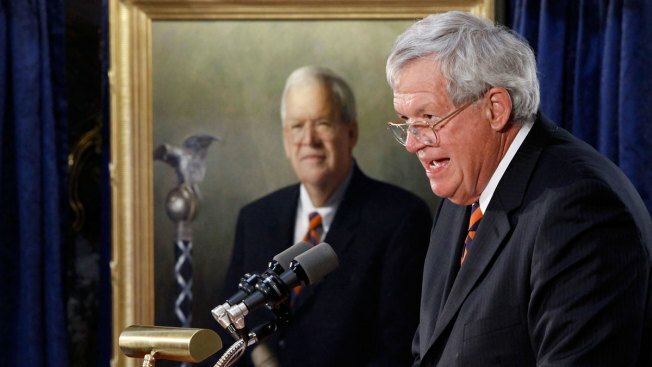 Former Speaker of the House Dennis Hastert of Illinois delivers remarks during the unveiling ceremony of his portrait at the U.S. Capitol July 28, 2009, in Washington, DC. Hastert is the longest serving Republican speaker from 1999-2007. Federal election records indicate that former U.S. House Speaker Dennis Hastert has closed his political action committee and moved $10,000 of the money to his legal defense fund. The Chicago Tribune reports that Federal Election Commission records show the indicted Illinois politician closed his Keep Our Mission PAC on June 30 and moved $10,000 to the J. Dennis Hastert Defense Trust. Hastert has pleaded not guilty to violating banking laws and lying to the FBI. A federal indictment says Hastert agreed to pay $3.5 million to someone identified only as "Individual A" to hide past misconduct. The federal law enforcement sources in question told media outlets, including NBC News, that Hastert withdrew the money to cover up a sexual relationship he had with a man who was a student at Yorkville High School in Illinois. The indictment of Dennis Hastert accused the former House Speaker of paying off a man to conceal a sexual relationship they had while the man was a student at Yorkville High School, a shocking revelation to those who consider themselves close friends. 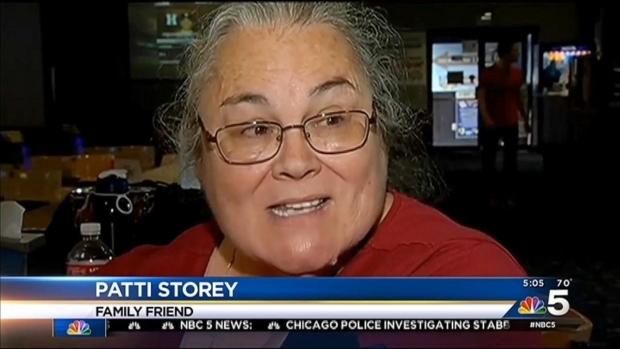 NBC Chicago’s Regina Waldroup reports. Hastert was a teacher and wrestling coach at the high school from 1965 to 1981.